Sharp Incentives is, first and foremost, a multi-line manufacturer’s representative in Special Markets serving the Southwest and Rocky Mountain states. In July 2017, Sharp Incentives acquired Bellevue, Washington-based BrandSource Incentives. 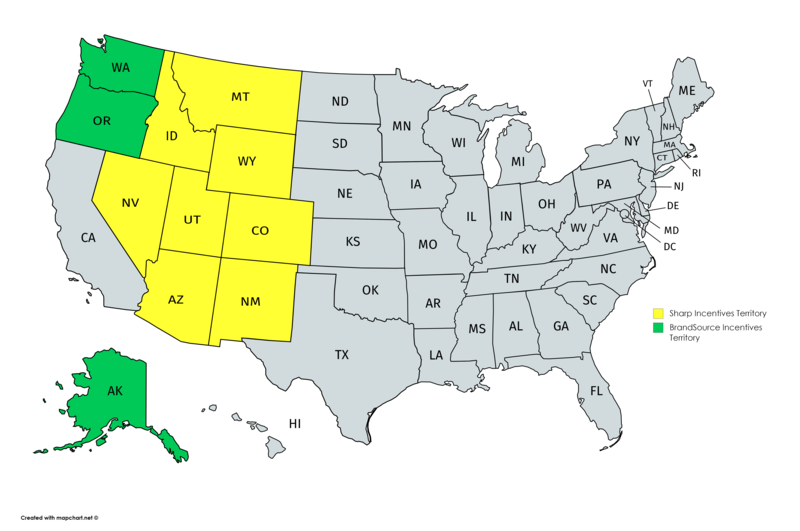 The sale expands Sharp Incentives’ territory from the Rocky Mountain/Southwest states through Oregon, Washington and Alaska. The rep agency will continue to operate under the BrandSource Incentives name in the Northwest. We do not represent all of our manufacturers in all of the states, but are happy to refer you to the representative if we are not the representative for the product you are inquiring about.